The Aussie leads the H2H 4-0, but the Croatian has managed to win at least a set in three of those four matches. Six of the 12 sets between them needed a tiebreaker, and they could possibly play out one or two tiebreakers in Houston as well. Kyrgios can match Karlovic on serve and has got by far the better return game which makes him the favorite in this encounter. Ivo Karlovic, who entered Houston on the back of four straight defeats, has now made the quarterfinal in this event for the first time since 2011 by defeating Taro Daniel and Denis Kudla in straight sets. The big-serving Croatian was far from his best in the recent weeks, and even his serve is not intimidating as it usually is. But the vastly experienced Karlovic has found a way to win two matches this week. Ivo Karlovic lost his quarterfinal match in the doubles category to Dustin Brown and Francis Tiafoe on Thursday, and he will be hoping to avoid a similar result in the singles quarterfinal when he takes on Nick Kyrgios this Friday. This is Karlovic’s second quarterfinal of the season. He lost his previous one to Sam Querrey at the New York Open in February, and he also lost his previous quarterfinal on clay, to Aljaz Bedene in Budapest 2017. Both being straight-set defeats. Karlovic had never lost a quarterfinal in Houston before, defeated John Isner in 2011 and Tommy Haas in 2007. 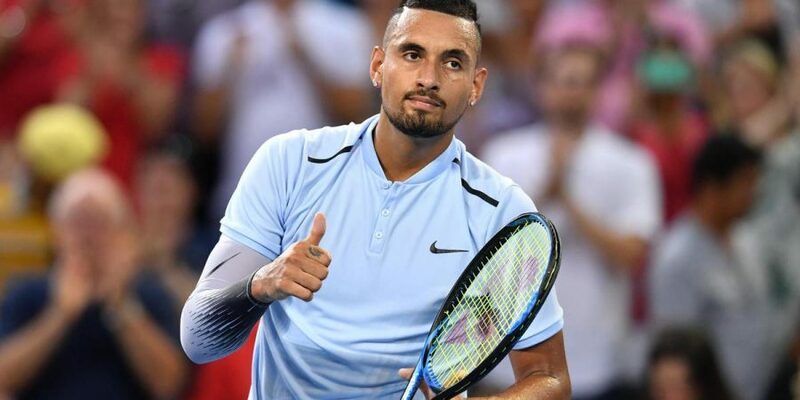 Nick Kyrgios maintained his record of winning at least one match in every tournament this season with a comeback performance against Bjorn Fratangelo in the second round (first round bye), 6-7 6-1 6-2. While Ivo Karlovic has appeared here six times in the past and won the title once in 2007, this is the Australian’s maiden appearance in Houston. Moreover, this is his first clay tournament since the French Open 2017 (Karlovic played at Quito earlier this season). The World #24, who was kept out of action for nearly two months since losing the crucial Davis Cup rubber to Alexander Zverev, returned to action in Miami two weeks back where he defeated Fabio Fognini and Dusan Lajovic but once again lost to the eventual finalist, Alexander Zverev, in straight sets. Nick Kyrgios could win only three matches on clay in 2017, and he will be looking to post better numbers on this surface in 2018. In fact, he has never won a clay title on ATP World Tour events but has won two of them in the Challenger circuits, at Sarasota Challenger and Savannah Challenger (both in the USA).